Sure-Life unveiled the new formulation for CATCH AND RELEASE® at ICAST this year. The new formula contains two safe, but effective disinfectants/antiseptics to prevent the spread and transmission of deadly pathogens in the livewell. The new formulation also utilizes two compounds to kill quickly spreading and deadly VHS (Viral Hemorragic Septicimia) and LMBV (Largemouth Bass Virus). These compounds are used by professionals and are approved by both WHO (World Health Organization) and the FDA to prevent the transmission and spread of HIV (the human virus that causes AIDS) and VHS (Viral Hemorragic Septicemia). The disinfectant effectively kills both the zebra and quassa mussels at all stages of development. Never before has such an effective formulation been available to the sportfishing public. Anglers can now be proactive by making sure that they are not spreading and transmitting deadly pathogens and certain invasive species in the livewell. The new formula now contains an ammonia remover. Ammoina is a by product of metabolic waste excreted by the fish. We have increased the amount of our chelating agent which removes heavy metals such as: mercury, lead, cadium and pesticides from the fishes bloodstream. The new formula also contains a concentrated protectant that aids in wound healing and helps prevent infections. These new compounds have been added with the all natural sedative that was introduced last year to complete the ONLY livewell formula that prevents the spread of disease, combats stress, stimulates the immune response and addresses water quality issues in a single formulation! We know that anglers will be impressed with the results. The new CATCH AND RELEASE® is a MUST have for the livewell and can be used on Bass, Walleye, Catfish, Crappie and other valuable gamefish. Protect your valuable catch and protect the fisheries by using the new CATCH AND RELEASE® formula year-round. The new formula will be available for distribution in August. Look for US Patent Pending on the label at various retailers. The new CATCH AND RELEASE® formula is replacing the CATCH AND RELEASE® formula introduced last year. PLEASE RELEASE ME™ will be replaced with the current CATCH AND RELEASE® formula. Both formulas will use the natural sedative. "The new CATCH AND RELEASE® formula developed by Sure-Life is one of the most effective fish care tools developed in years. As the State Conservation Director for the Texas BASS Federation Nation and the 2006 BASS Federation Nation Conservation Director of the Year, I am constantly looking for tools to help tournament anglers keep their fish alive before and after weigh-in. 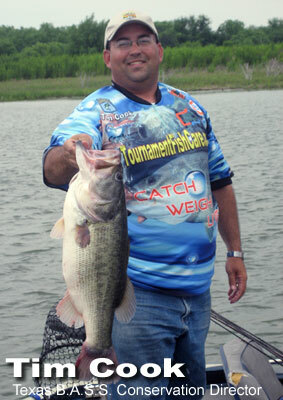 No other livewell additive does it better that CATCH AND RELEASE® and I'm not paid to say so." Two years ago I began experiencing a problem with losing bass in my own livewell while using a competitor’s livewell treatment product. In an attempt to find a solution for this problem, I began to personally use and test your “Please Release Me” product and later the newer “Catch And Release Formula.” I was so very impressed with the performance of these products in my own boat, I recently asked Sure-Life Laboratories to assist me with a catch and release tournament on the Texas and Mexico border. With surface temperatures likely to exceed 90-degrees Fahrenheit, there was a great deal of concern about successfully caring for and releasing fish back into the environment. On behalf of myself and the local Chamber of Commerce in Zapata, Texas – THANK YOU for making the recent tournament a true success. The mortality rate in this tournament was much lower than was anticipated and well below historical averages. The success of this tournament would have not been possible without Sure-Life Laboratories' hard work, experience and knowledge. As the State Conservation Director for Texas Associations of Bass Clubs (TABC), it is a true pleasure to find a company who is so passionate about conserving our natural resources. Again, THANK YOU for everything and for a GREAT product!